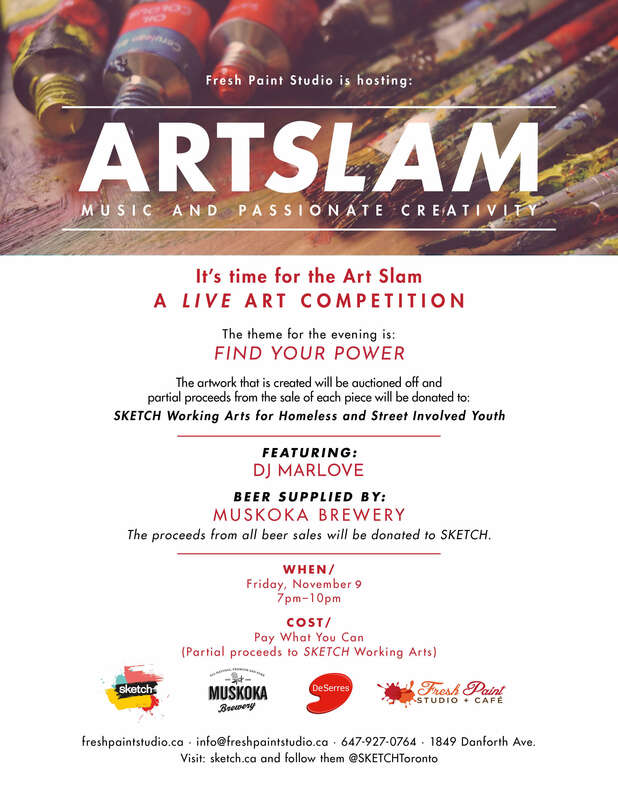 Get ready for The Art Slam! Join us for Fresh Paint Studio’s 2nd Annual Art Slam, an evening of art, music and passionate creativity. On Friday, November 9 from 7pm-10pm, six artists will enter into a live art competition and create their artistic pieces for an enthusiastic crowd of art lovers. The theme for the evening is ‘Find Your Power’. The artwork that is created will also be auctioned off and partial proceeds from the sale of each piece will be donated to charity. For this event, we have partnered with Muskoka Brewery to provide the beer!